We’re taking Stories for Homes 2 on the road to celebrate the launch of both the paperback and Kindle editions. We have a variety of events planned: festival appearances; book shop readings; and evenings of music and words. New events are being planned, so do check back here regularly for happenings in your area. Copies of Stories for Homes 2 will be available to buy at all our events, and any of the authors present will be happy to sign it for you! The Brixton BookJam is a free quarterly literary event that is unpredictable, eclectic, and aims to curate the very best in South London writing. We are delighted to have a slot in the upcoming Bookjam reading event, led by SfH contributor Andy Leach. An afternoon of readings at the Shelter store in Brighton. The perfect excuse for a day at the seaside! As usual, we will have copies of both Stories for Homes anthologies for sale on the day. Join us for an evening of readings and bookish chat at The Big Green Bookshop, one of North London’s best independent bookshops. A pay-to-enter pub event, with readings and music at The Ivy House, a co-operatively owned pub in South East London. All money raised goes directly to Shelter. See photos and read a round up of this event HERE. 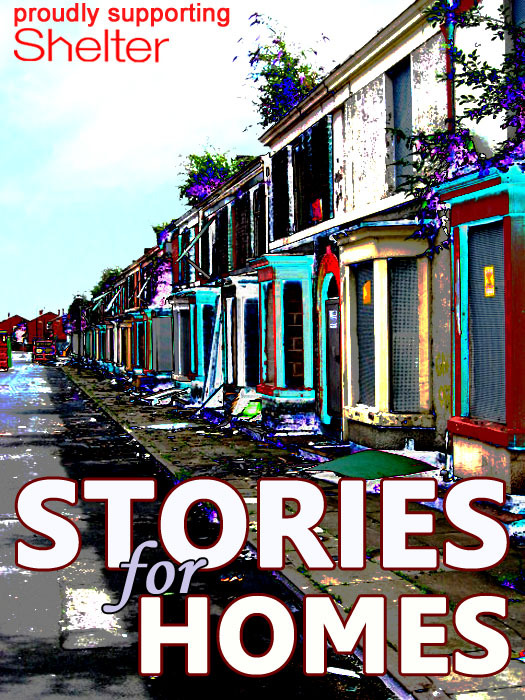 Come hear authors reading stories from Stories for Homes 2 and celebrate the launch of the paperback edition. This event is being kindly supported by Folkestone Book Festival. Stories for Homes is co-hosting an open mic evening with Rae Stoltenkamp as she launches her YA SciFi sequel When Rainbows Cry. An evening of music and readings, with folk music from Andover Museum Loft Singers and classical musicians. Where: St Michael’s Church, West Andover, Hampshire. Join the team and contributors for an evening of celebration and reflection. The Bookseller Crow in Crystal Palace is a wonderful local independent bookshop which has been hugely supportive of the Stories for Homes project. Come browse their shelves, listen to some readings, hear how the project started and what we are doing to support Shelter. There may also be wine! Kicking off our events in 2018, an evening of readings at the iconic Alexandra pub in Wimbledon and the launch of our fundraising auction.